The purpose of this Blog is to make people aware of the existence and danger of Predators on the Facebook and other social media. It is our hope that increased awareness of the problem will encourage and enable at-risk people to take measures to protect themselves. 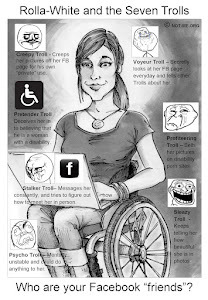 This post provides some tips for spotting a Wheelchair Pretender on Facebook. 1. Profile Picture - The profile picture is the first clue. 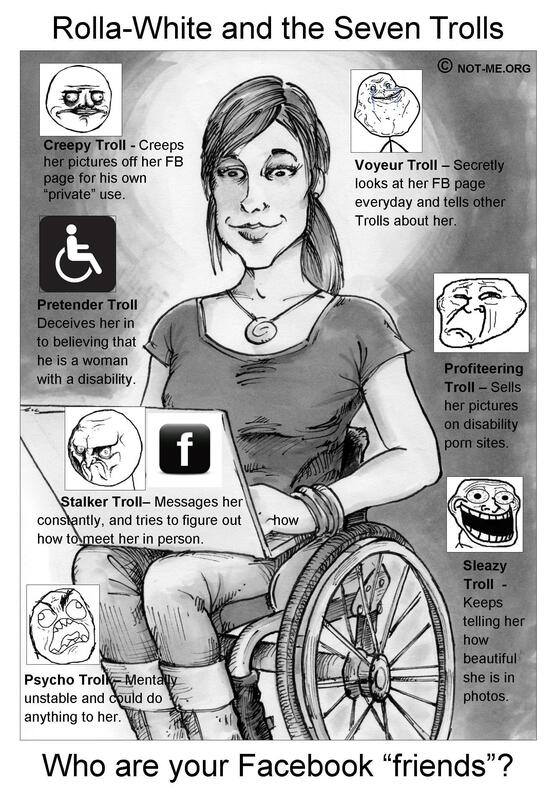 Many times the Pretender will use a picture that prominently features the person in a wheelchair. The picture will be either of poor quality or a stock photograph. 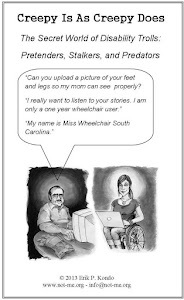 By comparison, the majority of profile pictures from real WC users, do NOT feature the persons wheelchair. Or if they do, the wheelchair is incidental. 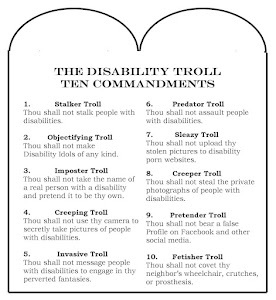 This document lists tips for spotting Wheelchair Pretenders on Facebook. 2. Very few supporting photographs of themselves. Especially, no photographs with themselves with other wheelchair uses or at events. 3. 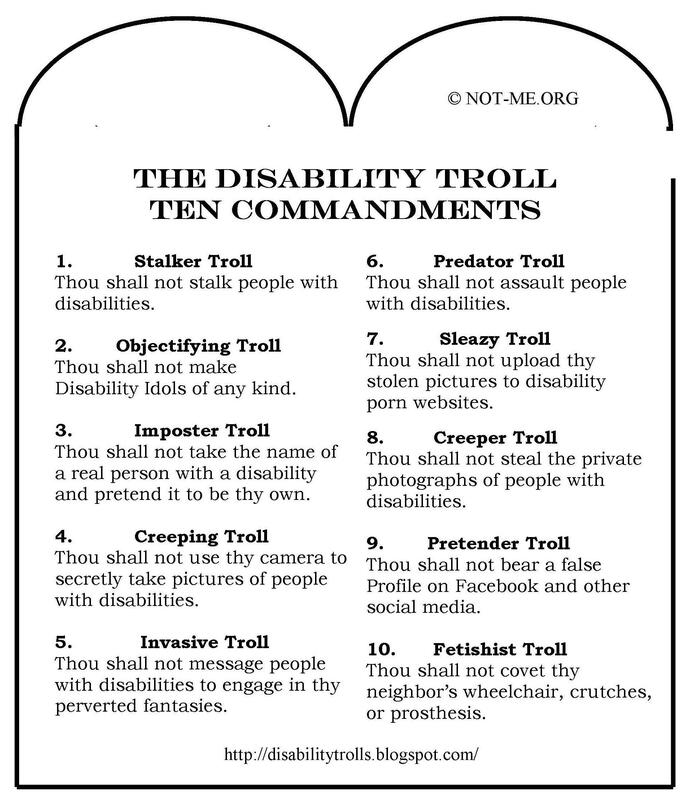 Prominent listing of disability. 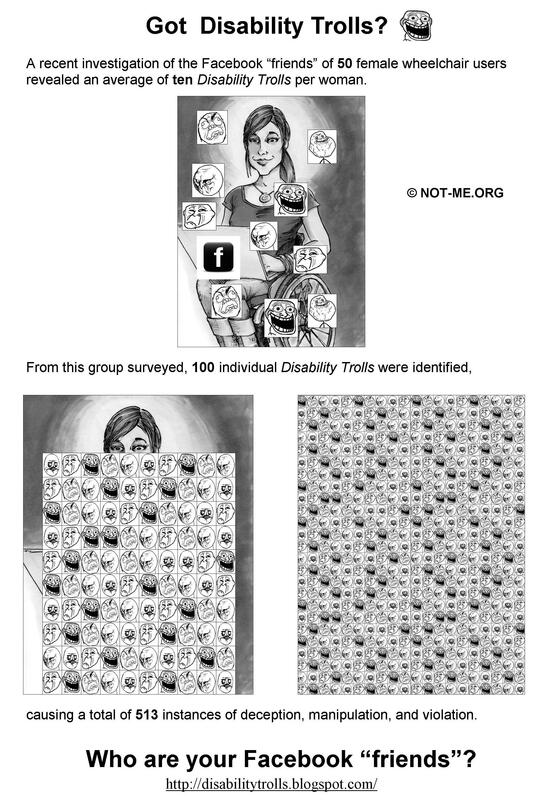 Most real WC users do not consider their disability as their primary identifying character. Pretenders do. 4. 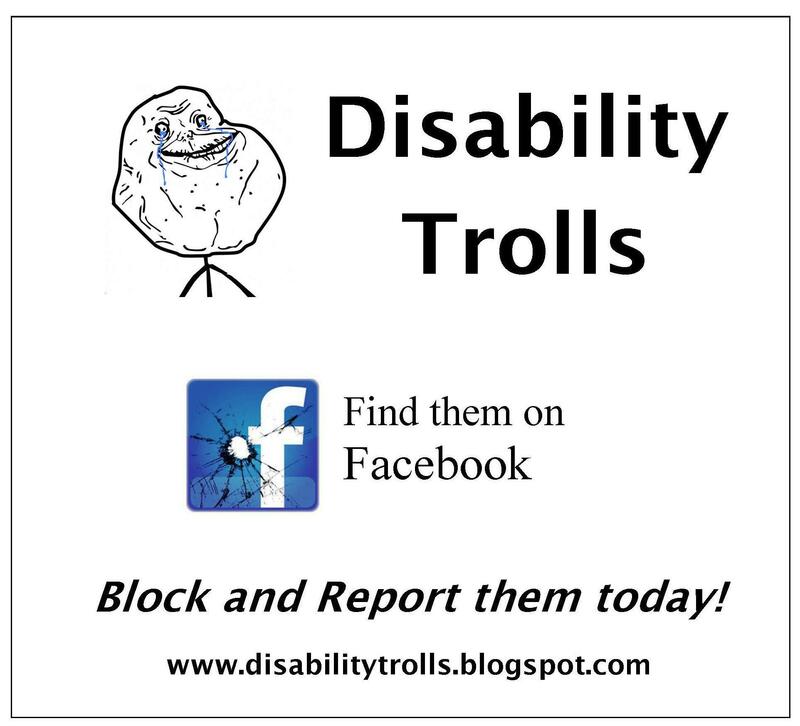 Lots of Facebook friends with disabilities, especially women. 5. Joins lots of disability groups. Has mainly disability related interests. 6. Very little activity on profile page other than “friending”. 7. Posts that refer mainly to “disability issues”. 8. A male who only has FBFs with female WCs. If find it highly unlikely that a male WC user would only have female WC friends. 9. 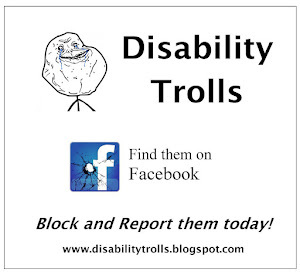 Writing stupid disability related stuff on their profile page. Possibilily filled with cliches and other BS. 10. Profile and other pictures that are small and low res as if they were copied from a web page. How do I report a fake Facebook profile? Pretenders and Devotees: What's the Difference? Re: Sometimes the bad devotees "win"